How can warehousing cope with the demand and growth of online shopping? One answer is modular designed semi-permanent structures. Rubb Buildings is UK manufacturer of these type of structures, and the company has seen an increase in the demand for adaptable warehousing. “Feedback from our customers suggests that they are planning for the future, to be able to maintain the flow of their production and fulfil the demand from their customers,” said Ian Hindmoor, Managing Director of Rubb Buildings. 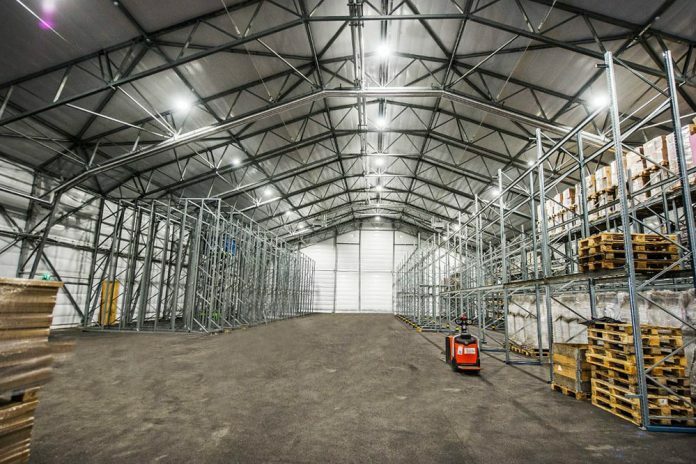 Flexible warehouse space provides businesses with many unique advantages, including fast design, manufacture and construction, with the flexibility to be adapted, modified, extended or relocated if needed. Click here to find out more about the project and Rubb structures, and watch this video on Rubb storage.